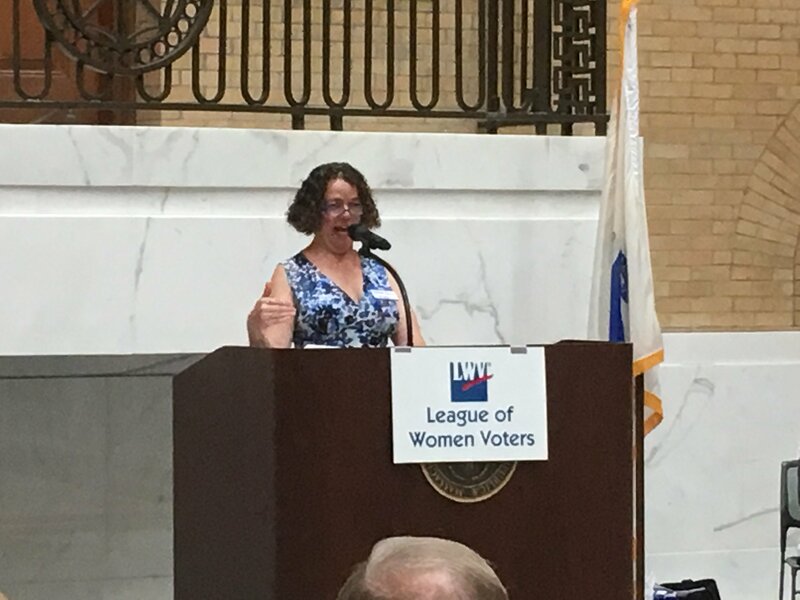 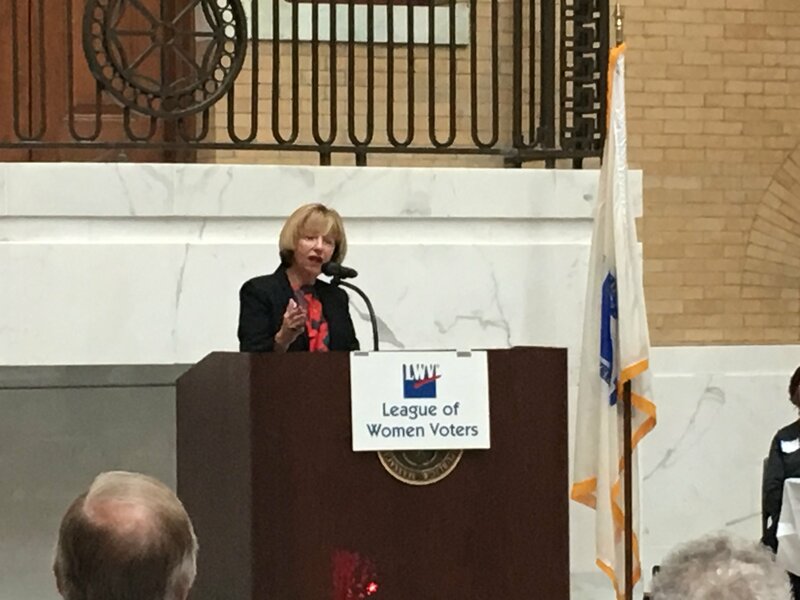 Day on the Hill is an LWVMA event held annually at the Massachusetts State House. 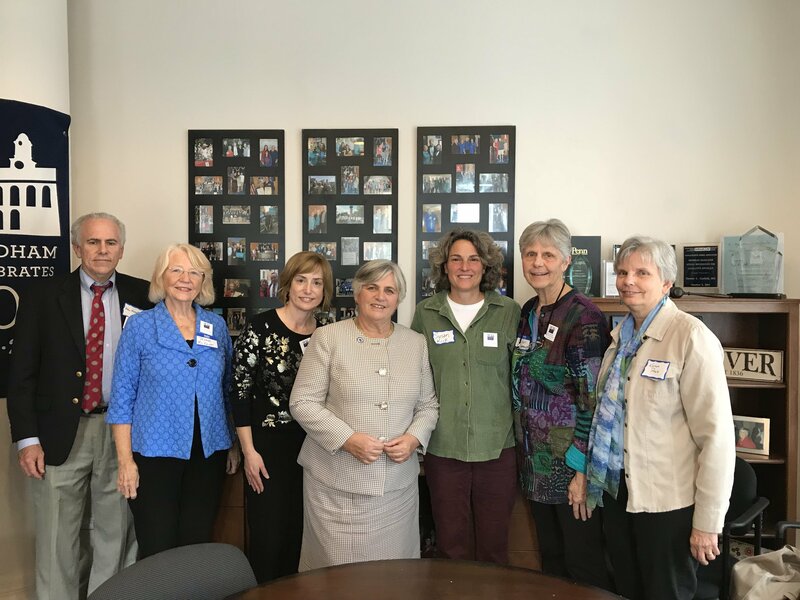 Each year, LWV members from around the state join together to discuss upcoming legislation and advocacy. 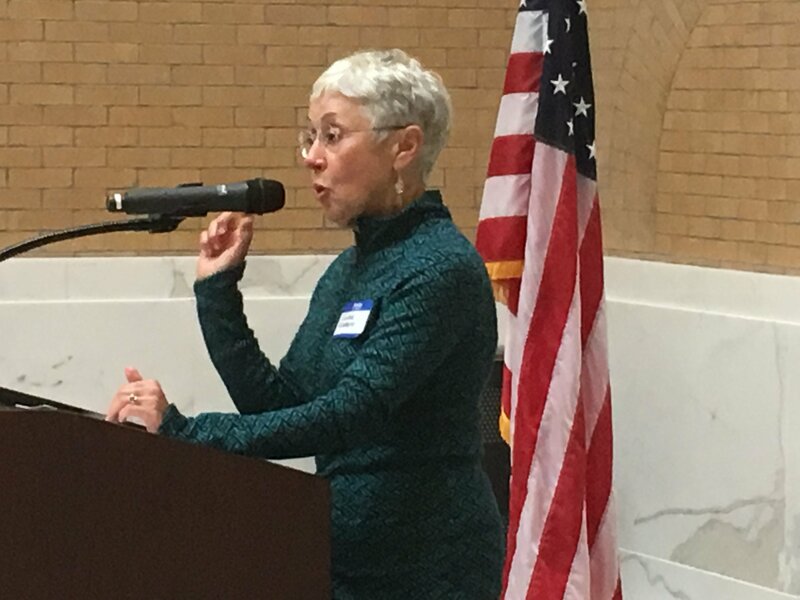 A keynote speaker addresses an area or areas of focus. 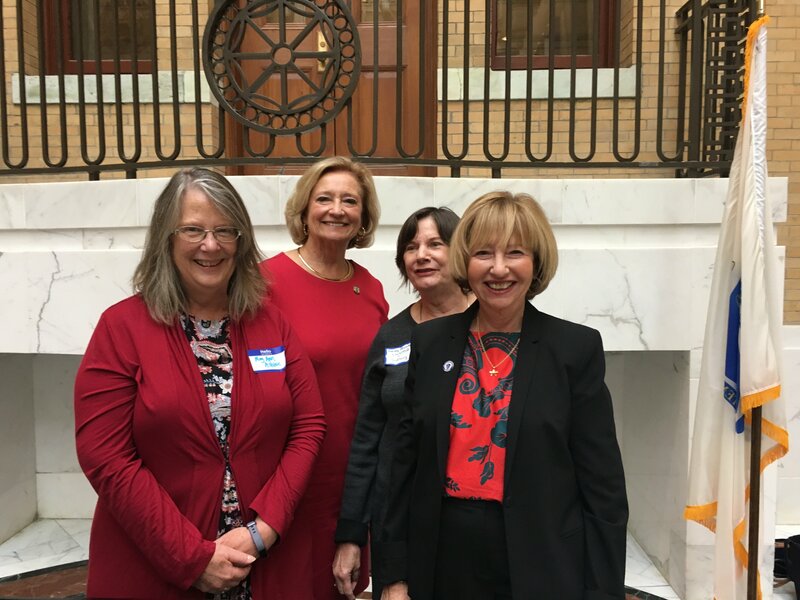 The LWVMA specialists prepare a packet of materials for members to use to encourage their legislators to take action on selected legislation. 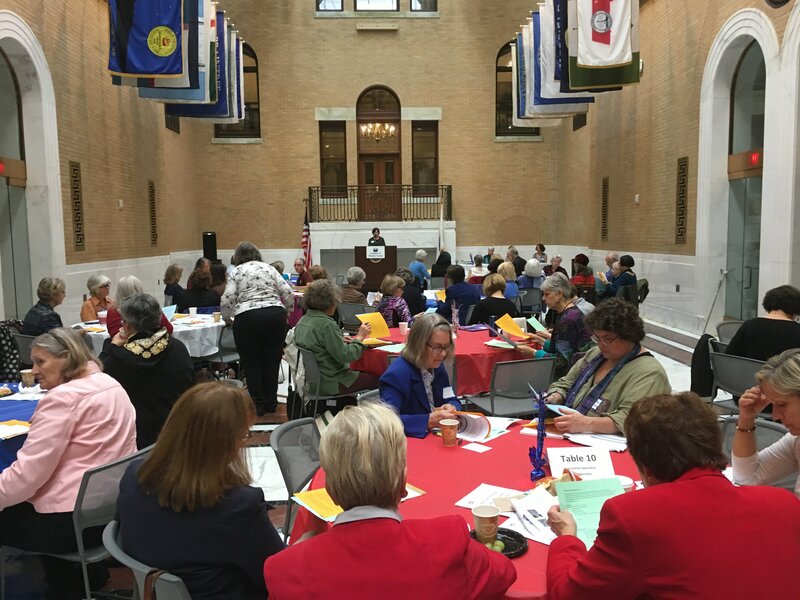 League members discuss the League legislative priorities with their individual Senators and Representatives after the morning program. 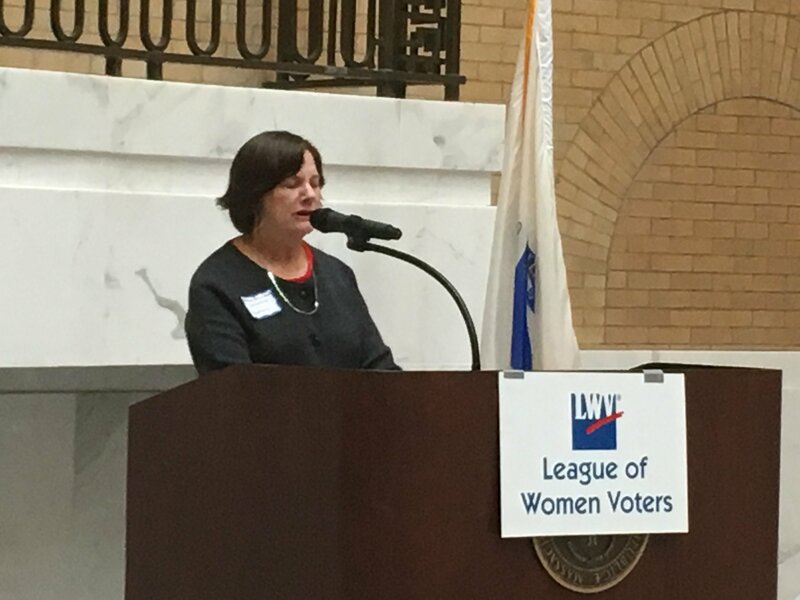 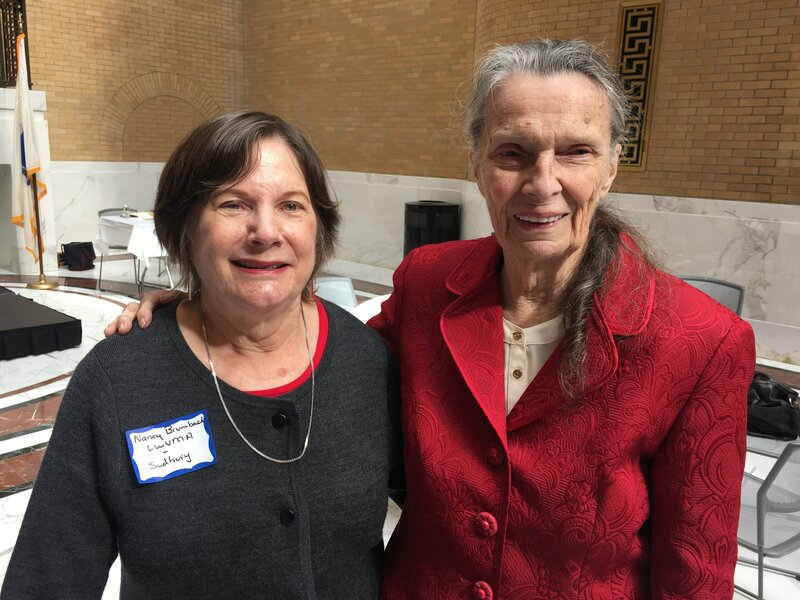 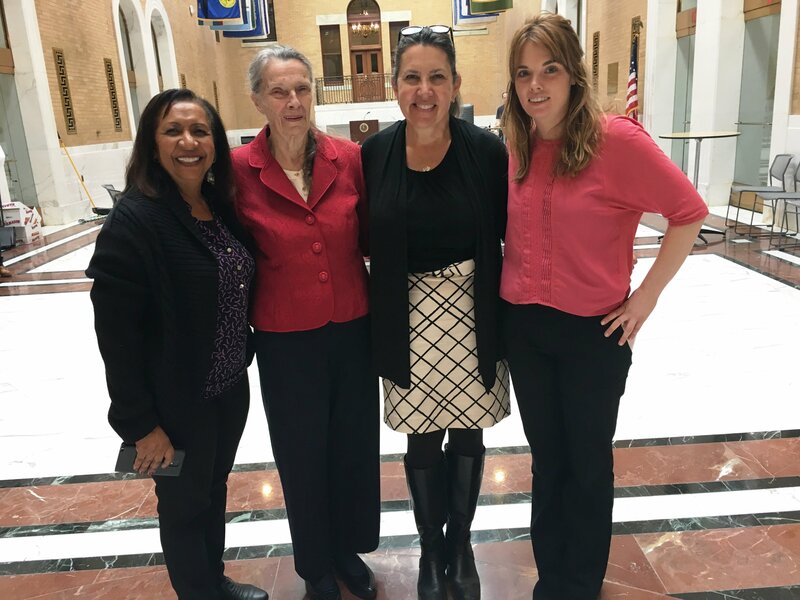 The League showed up on Beacon Hill Tuesday, October 24, 2017 to “move the needle” on our legislative priorities—automatic voter registration, carbon pricing/energy, safe communities and immigration, and criminal justice reform, with presentations on those bills from Nancy Brumback, Launa Zimmaro, Karen Price and Colleen Kirby. 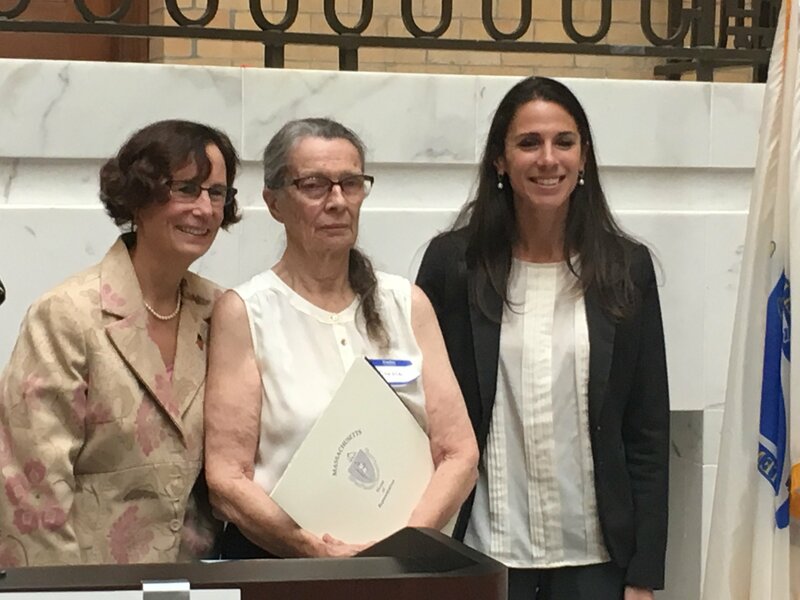 Sen. Cynthia Creem and Rep. Patricia Haddad lauded the League for its commitment to voting rights and citizen action. 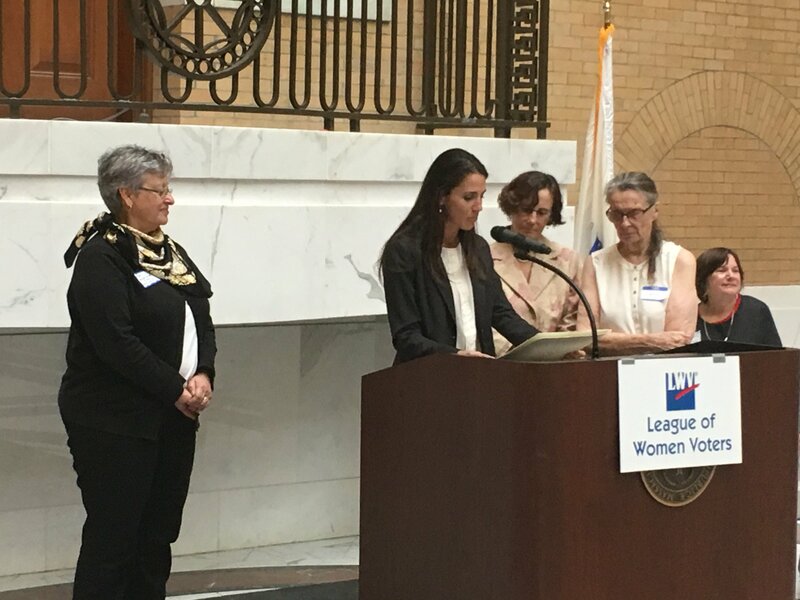 Creem, who is the sponsor for AVR and a criminal justice reform bill repealing mandatory minimums, urged League members to continue their pressure on the legislature to pass those bills. 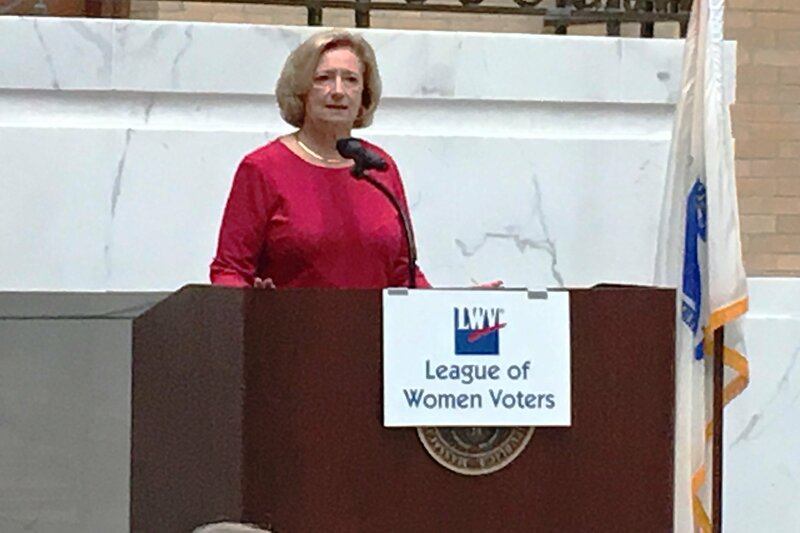 Haddad noted the voting reforms, including early voting, that the League was instrumental in passing in the past and noted that AVR is the next step in making it more convenient for people to vote. 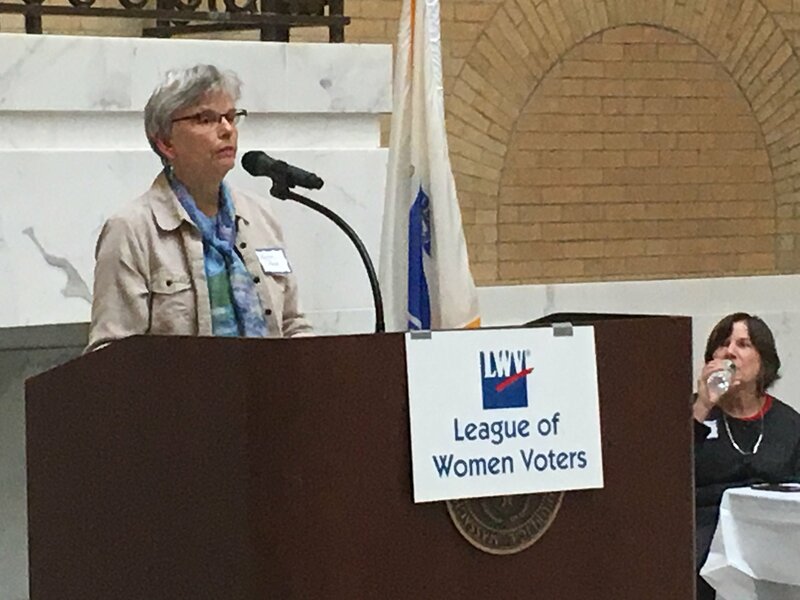 LWVMA also saluted Carole Pelchat, legislative director, who was at her final Day on the Hill before she moves to North Carolina.